The dogfight between China’s state and private sectors has taken to the skies. Budget carrier Spring Airlines typifies the challenge facing small companies that are trying to compete with large state-backed rivals armed only with a good idea or two and a knack for cutting costs. They may not win the war, but China is better off nonetheless. China’s state sector takes more than its share of resources and funding. Yet its return on assets is around half that of the private sector, according to Standard Chartered, even though many state-owned enterprises benefit from handouts and local monopolies. For airlines the playing field is especially uneven, thanks to the national symbolism of big carriers. Four big players dominate the market: Air China, China Eastern and China Southern are owned by the central government, while Hainan Airlines has backing from its local authority. Together they accounted for 87 percent of Chinese air travel by passengers in 2012. Spring Airlines, like many Chinese upstarts, hasn’t reinvented the wheel so much as repurposed it. 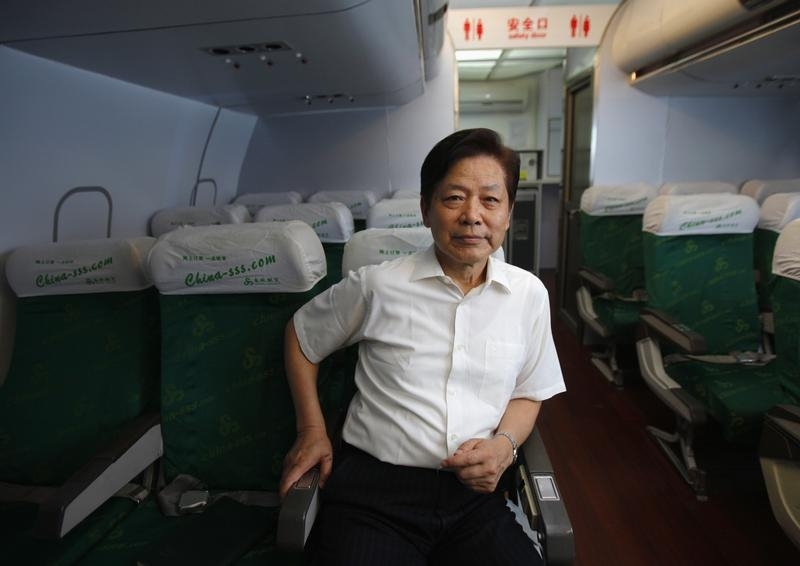 The company’s 84 percent owner is a travel agency controlled by chairman Wang Zhenghua. This gives the airline a distribution platform and a source of funding – agencies have the best returns on capital in the air travel industry. While most Chinese carriers offer unremarkable customer service, Spring Airlines is proud of its no-frills reputation. Future aircraft may offer bar stools rather than traditional seats in order to squeeze more people onto flights. In China, however, survival requires more. Private companies lack access to finance, permissions and resources that come easily to state owned enterprises. Airlines must get government approval for every plane they buy, for example, which caps Spring Airlines at fewer than 40 planes. Its big rivals have closer to 500 each. The company’s initial public offering, which should provide funds to grow the fleet, is now unlikely to take place until 2015 after the securities regulator said it needed more information on the company. Staff costs put private companies at an extra disadvantage. Spring Airlines must pay its pilots up to 80 percent more than larger rivals to compensate them for less stable career prospects and a lack of guaranteed access to the residency permit without which Chinese citizens don’t get full access to the welfare system. Airlines’ finances are challenged from the get-go. Due to rising wages and high oil prices, the global industry has earned returns below its cost of capital every year for two decades, according to McKinsey. In order to make its generous 6.6 percent operating margin, Spring Airlines has found other creative ways to offset those costs. It eschews in-flight meals; lights in its headquarters remain switched off. Help can come from unexpected sources – like vain local governments. Spring Airlines more than doubles its operating profit from ticket sales with subsidies from authorities in cities like northern Shijiazhuang, which want to establish regional hubs and promote themselves as tourist destinations. With 28 second-tier provincial capital cities jockeying for relevance, there is plenty to play for. It’s not unique to airlines: around the country private companies have benefitted from tax cuts pushed through by local leaders who all want their own Wall Street or Silicon Valley. Spring Airlines’ continued success depends on whether the government is prepared to allow state rivals to lose ground. So far that looks unlikely. Chinese authorities are talking of “mixed ownership” in the state economy and on May 21 released a list of projects that will be opened up to outside capital. That implies a preference for letting private money into already-existing public enterprises rather than levelling the playing field for new entrants. For would-be investors the biggest problem is that China has let state companies get so big that they can easily copy good ideas and kill off their originators. Spring Airlines may hope that state airlines who mimic its low-cost model will just help convert consumers to budget travel. More likely, they will erode Spring Airlines’ earnings as well as their own, and with far greater ability to withstand losses. The only consolation is that even if private companies do no more than shake up sleepy business models and lower prices for consumers, China will be better for it. Spring Airlines founder and chairman Wang Zhenghua poses for a portrait during a interview with Reuters at the Spring Airlines training facilities in Shanghai July 3, 2012. Spring Airlines, the low-cost carrier based in Shanghai, had its plan to issue shares on the city’s stock exchange delayed on May 14 after the securities regulator said it required more information. The regulator has said that around 100 companies will be able to carry out initial public offerings on Chinese markets by the end of 2014. Spring Airlines earned 732 million yuan ($117 million) in 2013, boosted by 522 million yuan of subsidies. The company is 84 percent owned by Spring Travel, a travel agency, which itself is 36 percent owned by chairman Wang Zhenghua. China’s domestic air traffic climbed 11.7 percent in 2013 compared to 2012, the strongest for any national market, according to the International Air Transport Association. Capacity rose 12.2 percent, creating a “load factor”, or utilisation rate, of 80 percent.